One month from today, D.C. United will host its inaugural match at Audi Field in Buzzard Point, against the Vancouver Whitecaps. Construction in and around the stadium is starting to reach the homestretch (wrong sports analogy) with the pitch now installed, concession areas starting to come into shape, and infrastructure around Audi Field resembling streets in other parts of the city with bike lanes and functional traffic lights along Half Street. Below are some more pictures of the stadium exterior. 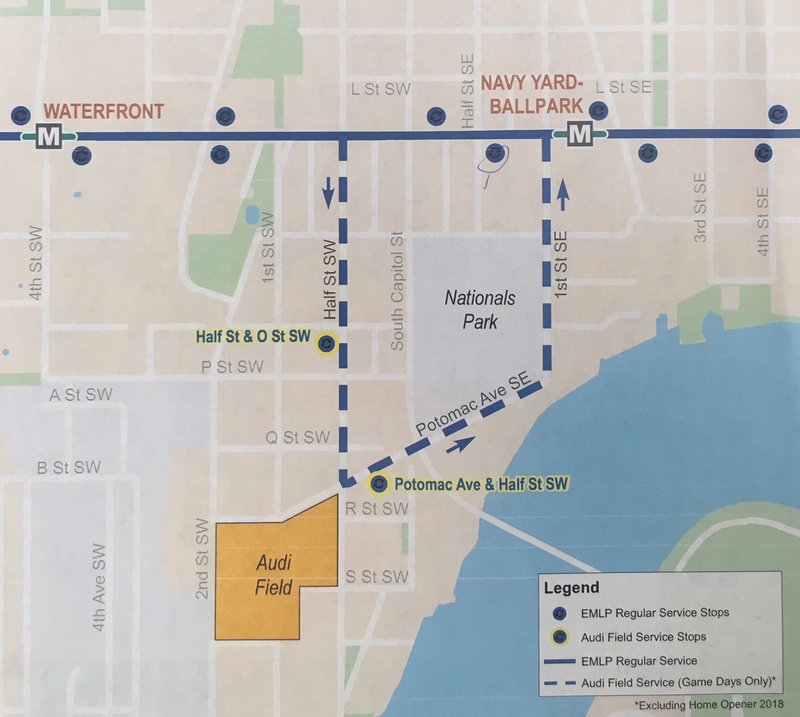 Meanwhile, DDOT has announced special game-day service to Audi Field, although due to road closures anticipated on opening day, this service won’t be available on July 14. In addition to changing the Navy Yard-Union Station route on a daily basis to L’Enfant Plaza-Eastern Market via M Street starting on June 24, game-day service will bring the Circulator south off of M Street to Half Street with a stop at Half & O streets, then turning left onto Potomac Avenue with a second stop at Potomac Avenue & Half Street serving Audi Field, then across South Capitol Street and left onto 1st Street, SE before turning back onto M Street SE. The route will take this detour east- and west-bound. In addition, a new Capital Bikeshare station will be installed in the vicinity of the stadium, although its exact location has not been finalized yet. Back in February, Ward 6 Councilmember Charles Allen attended the monthly ANC 6D meeting and one of the topics brought up was the redevelopment of Greenleaf. Allen stated his preferred “build-first” site to be the DCFEMS Apparatus Division station at Half and M streets. Under a "build-first" model, the first phase of construction would be at a site outside of the Greenleaf footprint and residents would move into this new building before demolishing any portion of the existing Greenleaf buildings so no one is displaced during the redevelopment. 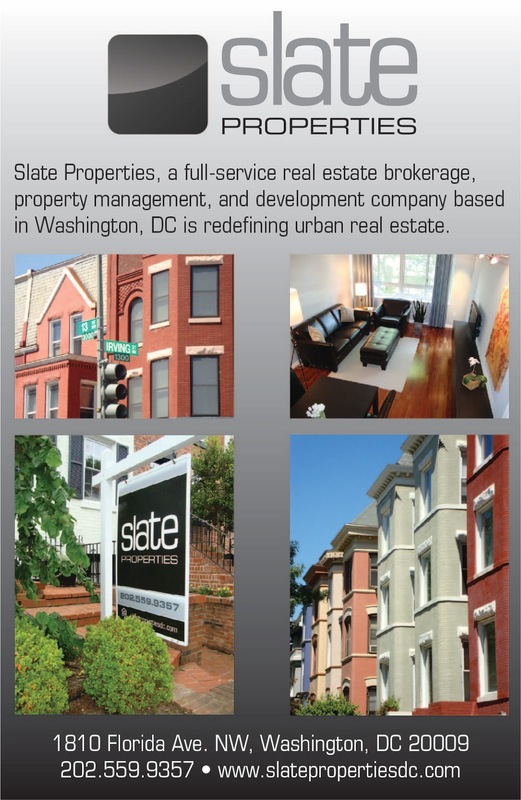 During the planning phase of Greenleaf’s eventual redevelopment, a study by HR&A Advisors stated that DC-owned sites near Greenleaf would be easiest to use as “build-first” sites, with the DCFEMS repair shop and MPD First District parking lot at Delaware Avenue and M Street identified as the best sites to use for this purpose. To move the process along, Allen, as chair of the D.C. Council’s Committee on the Judiciary & Public Safety, allocated $1 million in the District’s FY 2019 budget to start the schematic design and design development phases to build a replacement DCFEMS Apparatus Division facility (also in the DCFEMS budget for Southwest is a new Harbor Patrol facility at the Wharf, with funding allocated in FY 2023 and FY 2024). While this funding will start the process for designing the new maintenance facility, a site has not been identified yet. The Council committee recommends that DCFEMS "move swiftly to identify a site for the new Fleet Maintenance Facility." Under Mayor Bowser’s FY 2019 budget proposal, $47 million in funding for the replacement facility was pushed back to FY 2024, which was previously allocated in FY 2022 and FY 2023. The delay puts in jeopardy the use of the Half and M streets site as a “build-first” site for Greenleaf. A RFQ for the Greenleaf redevelopment was issued in December 2017 and a RFP was supposed to be released in March, with a selection to be made this month, but the RFP has been delayed. The ANC sent a letter to DCHA earlier this year requesting a meeting with Greenleaf residents should be held prior to the issuance of the RFP to keep the community in the loop regarding the agency’s process to redevelop the public housing complex. After getting a test run in April as the venue for the National Cherry Blossom Festival’s Wine and Beer festival, a portion of the Akridge-owned parking lot located south of Audi Field at 1901 1st Street will become Field House DC (h/t JD Land), a 42,000 SF venue where D.C. United fans will be able to gather prior to matches similar to the Bullpen near Nationals Park (also on a lot owned by Akridge). Field House DC will start things off on June 14, a month before the inaugural match at Audi Field, with showing all World Cup matches on a 22’ LED video wall. According to the venue’s website, “its massive bar will feature beer specialties hailing from the countries playing each day, plus there will be food trucks & soccer-themed games.” JD reports that there will also be a wine bar, a faux Astroturf seating area, picnic tables, and shaded areas, among other things. Above photo was from the Cherry Blossom event in April, not how Field House DC will be set up.